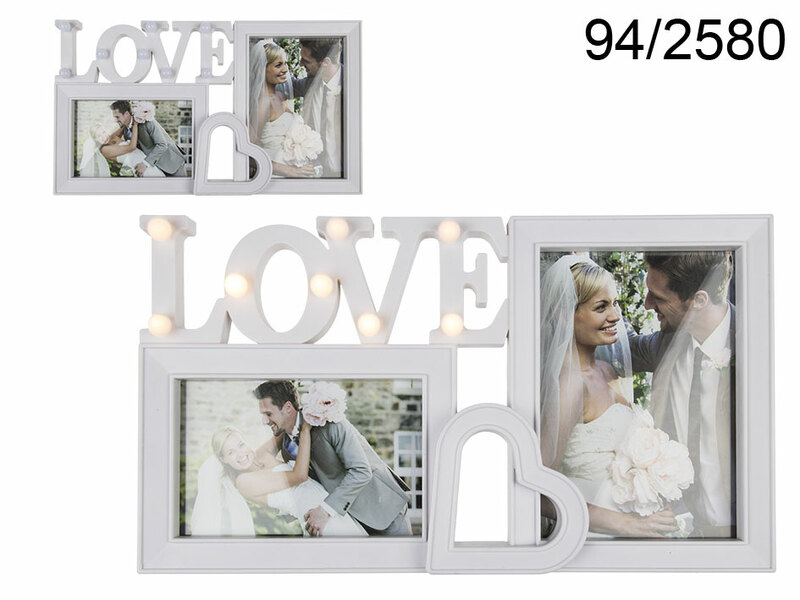 Plastic picture frame for 2 photos with 15 LEDs. In adition it reads LOVE and is decorated with adorable heart. For one 13 x 18 cm photo and one 10 x 15 cm one. Popular glamorous film star theme. Interesting room accessory. Lovely casual promotional item.